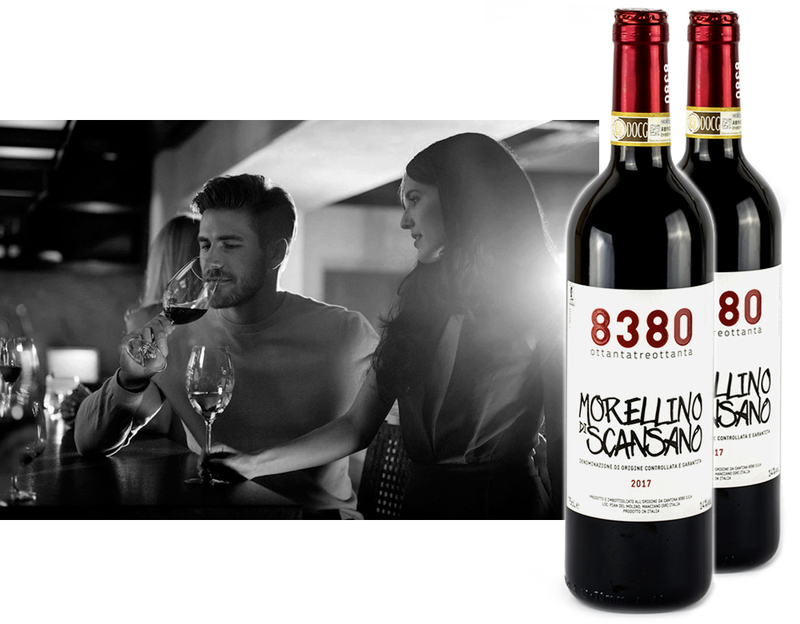 Sangiovese and Merlot are the two grape varieties selected to represent our Morellino di Scansano 8380. After a careful fermentation in steel, they undergo an aging in barriques of about 6 to 8 months before returning to steel where it is assembled to create a perfect mix of color ruby red, with purple reflections, intense, complex and persistent. Further aging in the bottle for 4 months. The essential and elegant label suggests the character of this precious Tuscan wine.